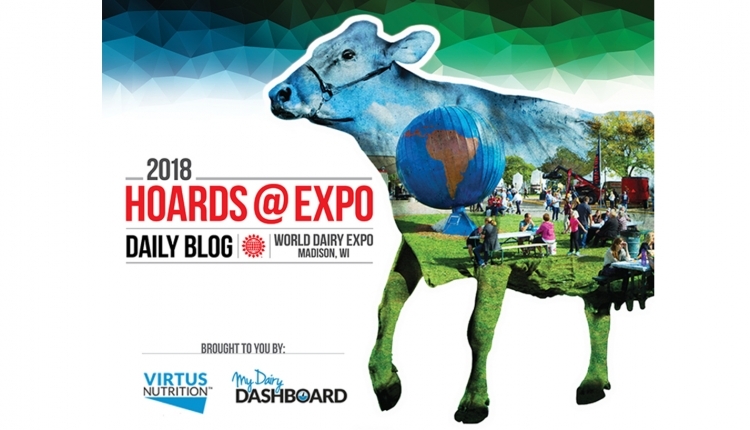 As an event inspired by an idea from a group of well-known dairy pioneers to showcase the best dairy cattle, World Dairy Expo has grown with grace over the past 50 years. From growing in cattle numbers to adding a large commercial trade show and the formation of the Dairy Cattle and Commercial Exhibitors Committees to the most recent facelift of the New Holland Pavilions, Expo has been working to meet its growth and evolution. In this article, three distinguished Klussendorf and Klussendorf-MacKenzie honorees, Norman Nabholz, Richard Caverly, and Ken Empey Jr., share their thoughts and experiences on how the show has evolved. Norman Nabholz of Nabholz Farm in West Union, Iowa, was born and raised on a Jersey farm there. He is no stranger to the show and sale rings as he started attending Expo in the early 1970s and has attended almost every Expo since. On the grounds, he could be found working with and leading some of the most notable dairy cattle of all time, including the Jersey great — Huronia Centurion Veronica 20J EX-97. Nabholz, who was recognized in 1989 with the Klussendorf Award, currently buys, sells, and brokers dairy cattle, and he and Gretchen Taylor care for a small herd of elite cattle at the farm. 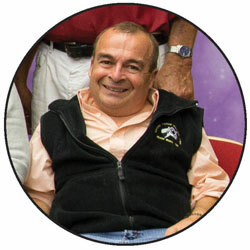 Richard Caverly of Clinton, Maine, was recognized with the Klussendorf-MacKenzie Award in 2013. His family owns Caverly Farms, while his wife, Beverly Donovan, is owner of Deer Hill Ayrshires. 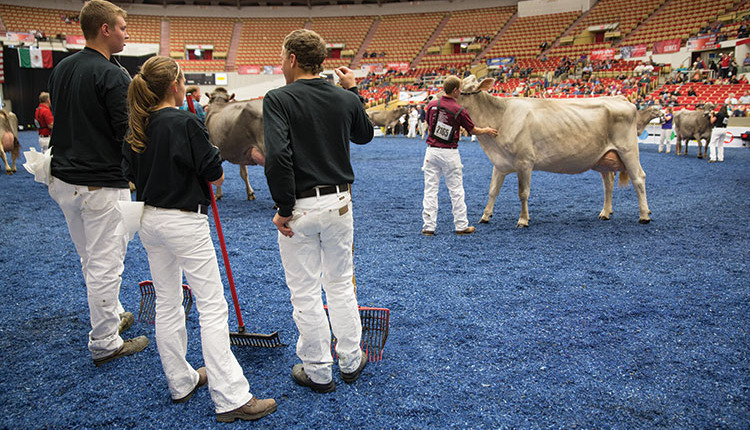 Throughout the years, Caverly has had the opportunity to work with some of the most prominent showstrings in the world, which include Brigeen Farms, Bovi-Lact, Bonnyburn, Piedmont, Lencrest, Kueffner Holsteins and Jerseys, and Arethusa Farms. 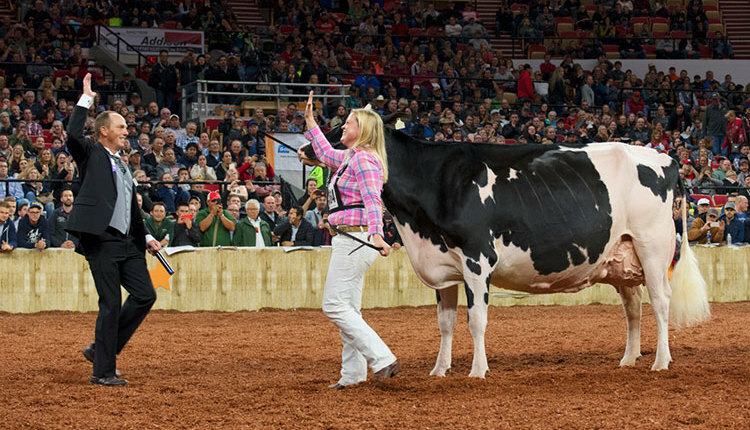 His wife took her cow, Sweet Pepper Black Francesca EX-94 3E, a legendary Ayrshire that won its class each of the three years it attended World Dairy Expo, while capturing Reserve once and Grand Champion twice. That adds up to five times that his family has actually had animals walk the colored shavings. He adds that to him the vision of the Expo pioneers is incredible and when the show now attracts 2,500 head from all over North America, some traveling over 2,000 miles one way to compete, that is an accomplishment second to none. Then add the commercial exhibits, and suddenly all corners of the industry have come together to one central point. 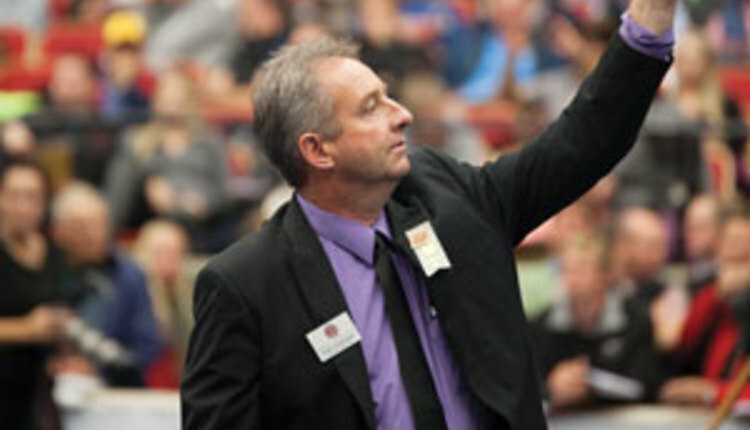 Ken Empey Jr. of Ontario, Canada, has attended World Dairy Expo every year since 1976, when he started with Pinehurst Farms, then assisted Hanoverhill Farms and R. Dale Jones. Then, in 1988, he owned part of and exhibited the Grand Champion cow, Cathland Lilac EX-97, and was honored with the Klussendorf Award the same year. 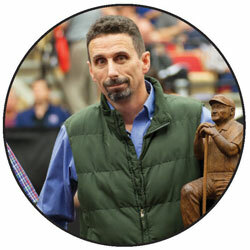 In addition to assisting with these herds and owning cattle outside the ring, Empey has enjoyed being the lead judge for five breed shows and the associate judge for two breed shows. 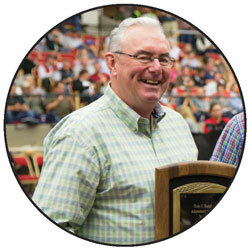 He has also served on the Expo Board of Directors since 2000 and was previously part of the Dairy Cattle Exhibitor Committee. Today, he resides in Ontario with his wife, Eva, and three daughters, Shasta, Ayla, and Sierra, where he runs a manure compost business and works various sales. 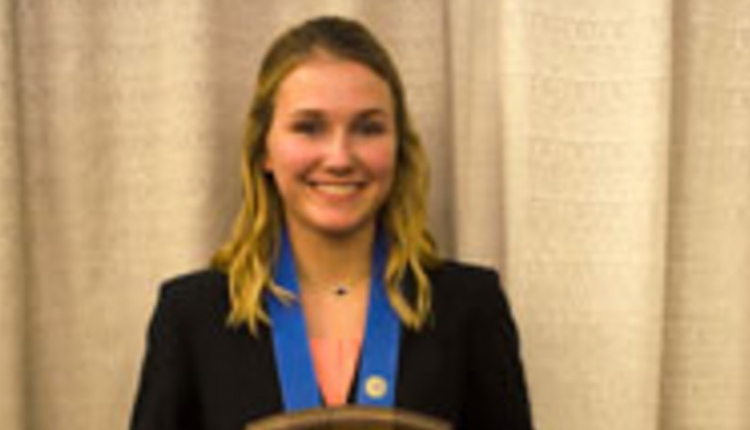 For Empey, serving on the Dairy Cattle Exhibitor Committee, the World Dairy Expo Board of Directors, and also the recent Building Committee for the New Holland Pavilions is another way to be a part of the big show. He is also very active in the Klussendorf organization, where he has served as president three different times and assists with selecting each year’s Klussendorf recipient and seven scholarships throughout the year. Also, as a former judge of the multiple breed shows, Empey pushed for an increase in compensation for judges and for tuxedos to be their official judging attire. Finally, he was involved in the Ethics Committee for the show, which he admits was a challenge but has now helped set a standard for other shows around the world. 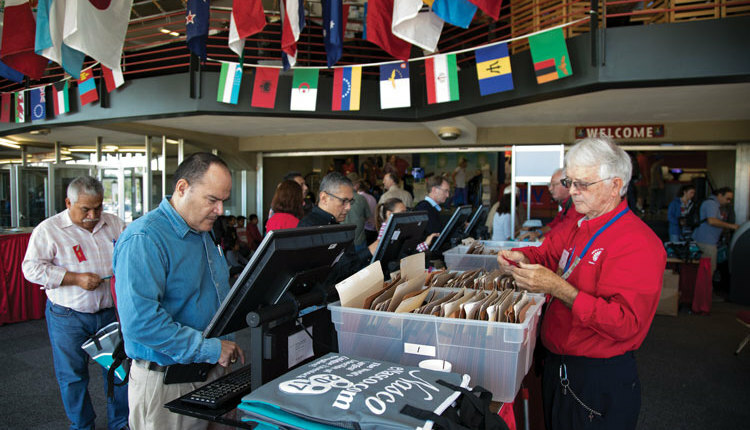 Empey has seen various changes during his years of attendance and involvement with Expo. The first he says is the change in cattle, namely that they are more angular with higher, wider rear udders. In addition, the evolution of the cattle exhibits in the barn, as well as the trade show exhibitor portion of the show, are areas that Empey says have seen extreme growth. When asked about more memorable moments over the years, all three gentlemen cite different events. 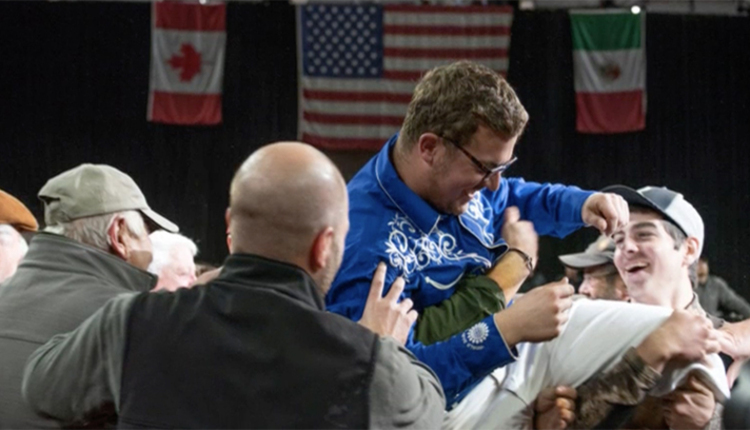 “Ernest Kueffner told me years ago there are 8,760 hours in the year preceding Expo that we have to prepare, and with that in mind I have never been one to stay ringside and watch the show, as those final hours belong to someone else and it is out of your control at that point. However, there are a couple hours that stand out for me,” Caverly says. “Watching Beverly at ringside as Francesca graced the colored shavings, knowing how much passion she had for that animal and dedication to her dreams — that is a memory that shall always stay with me,” he said. “I also have to smile when thinking about Ernest Kueffner and Gary Bowers and their master plan to get me to the ring for the Klussendorf-MacKenzie presentation as both knew I was not headed there on my own. As all three award honorees reflect on where the show started, where it has been, and where it is going, they each offer a unique perspective with their experience and thoughts.